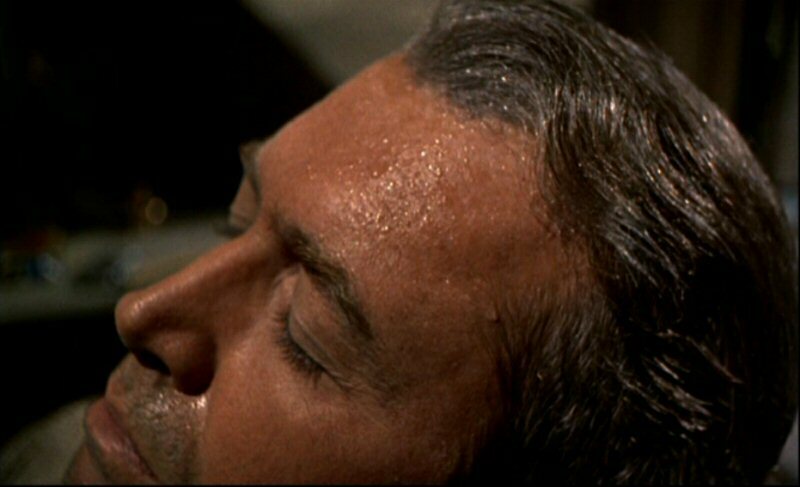 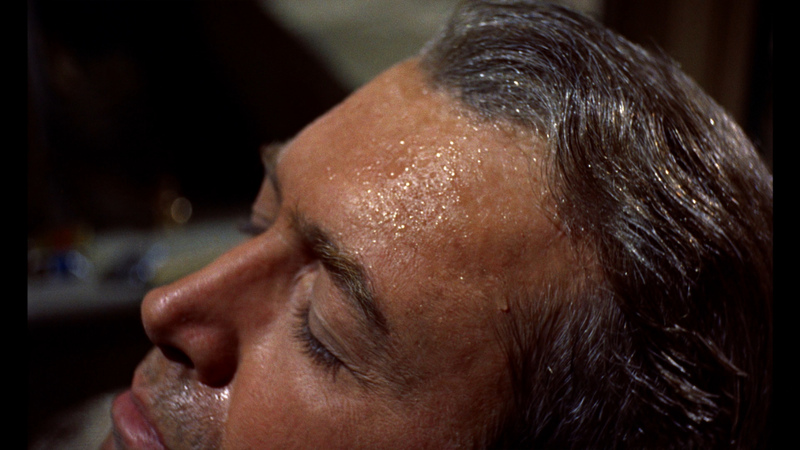 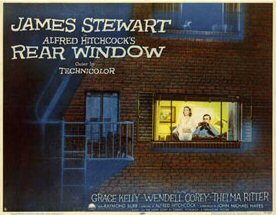 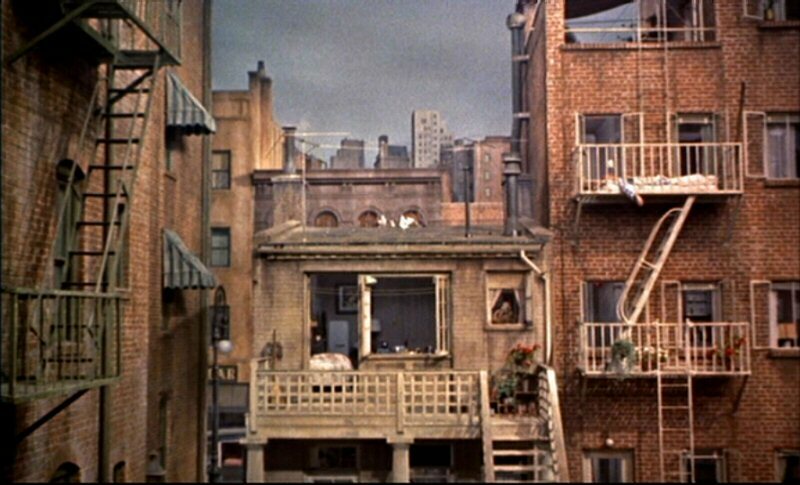 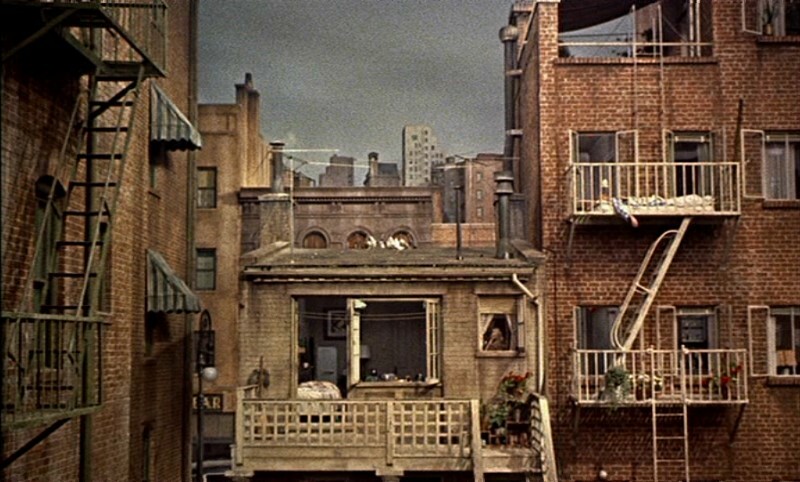 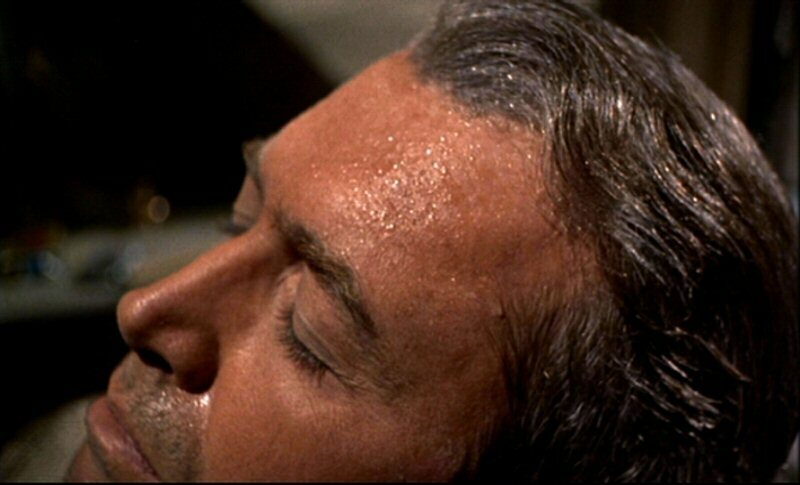 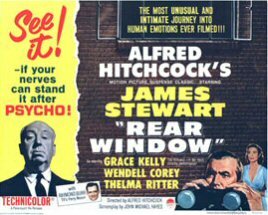 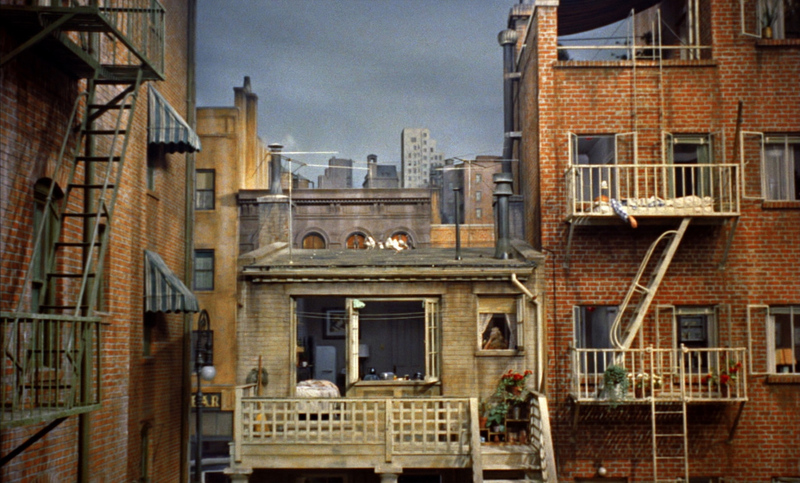 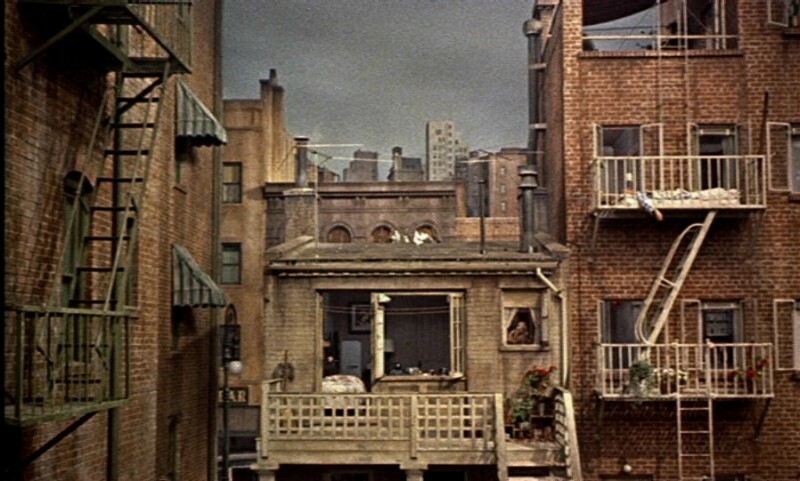 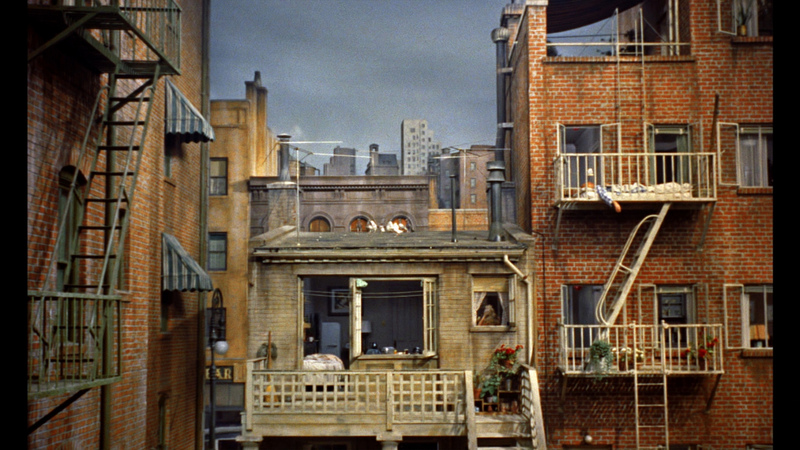 Alfred Hitchcock’s greatest movie, Rear Window, is as fresh as it was when it came out, in part, paradoxically, because of how profoundly it belongs to its own period. 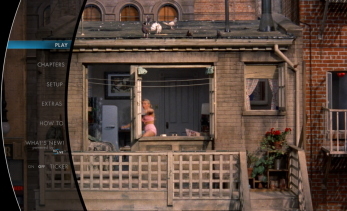 It’s set in Greenwich Village during a sweltering summer of open windows, and it reeks of 1954. 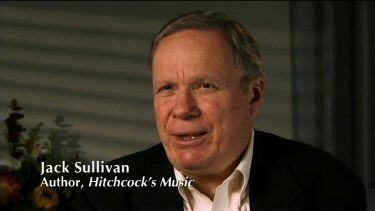 Peter Bogdanovich notes in Who the Devil Made It that Hitchcock “didn’t use a score” in the movie, “only source music and local sounds,” which isn’t exactly true. 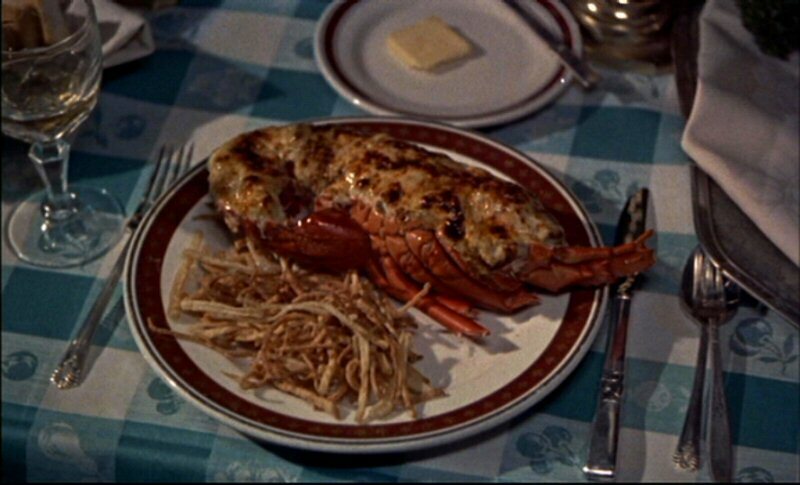 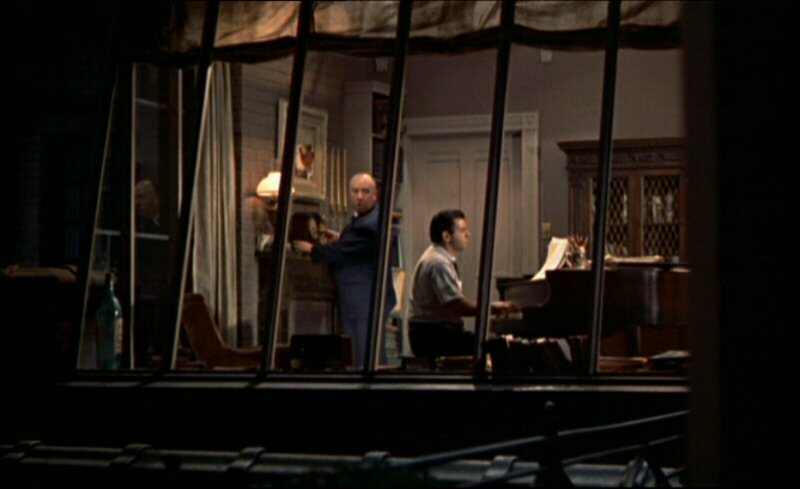 In fact, we get quite traditional theme music from Franz Waxman behind the opening credits, and, more important, the film subtly integrates hit tunes of the mid-50s into the ambient sound track, most noticeably “Mona Lisa” and “That’s Amore,” which was introduced the previous year by Dean Martin in another Paramount picture, The Caddy. 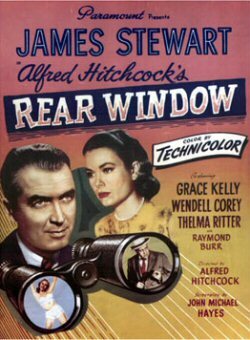 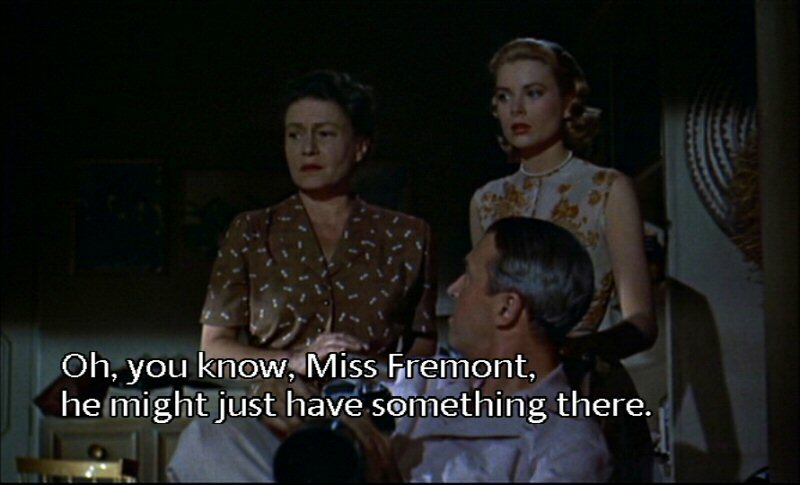 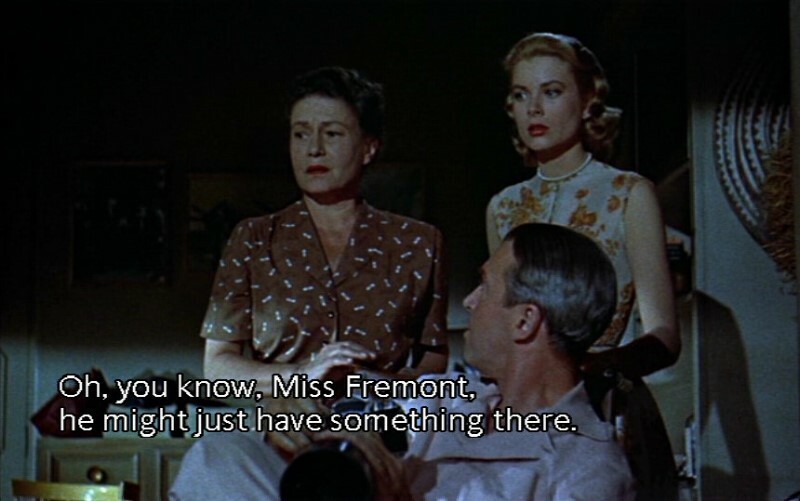 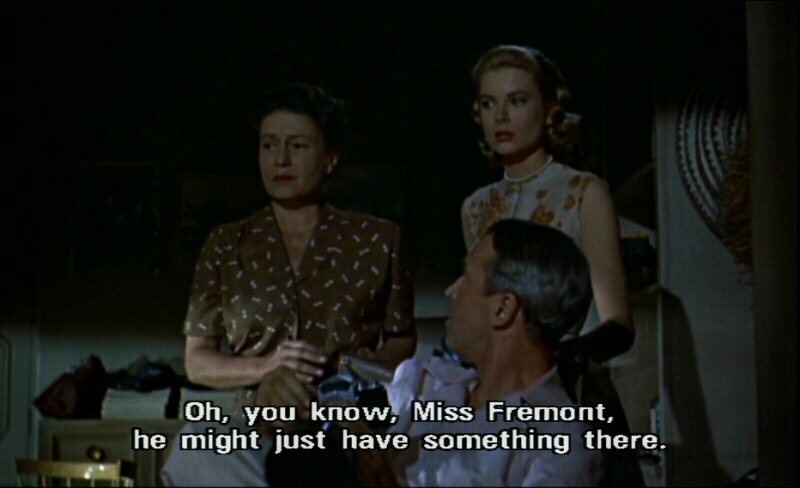 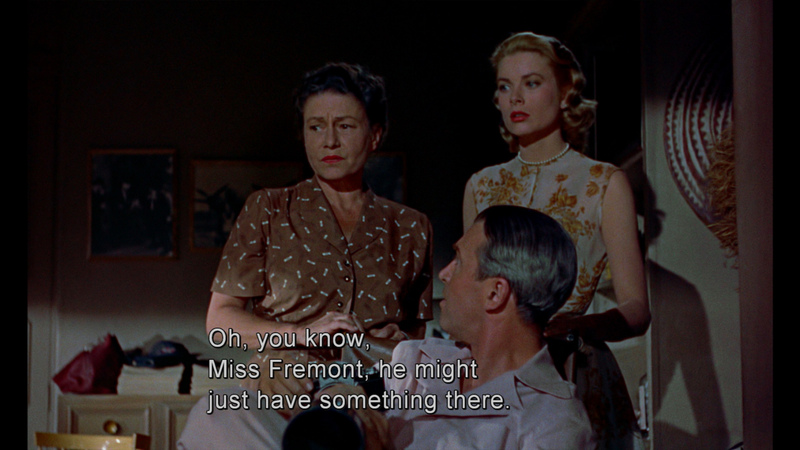 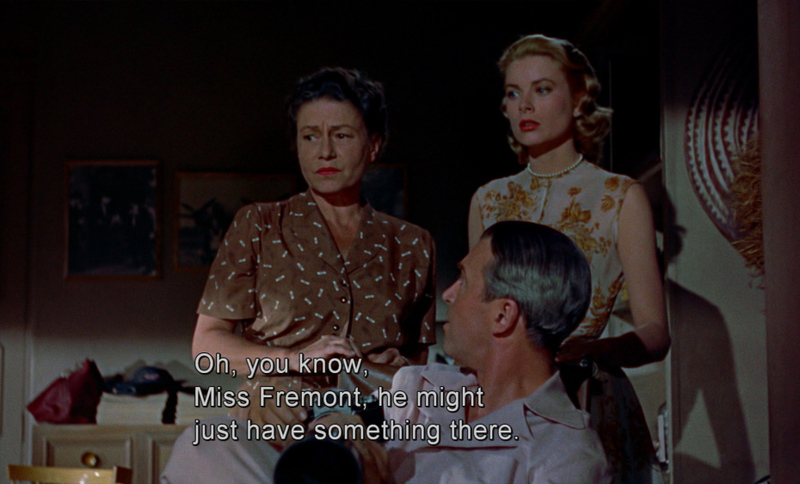 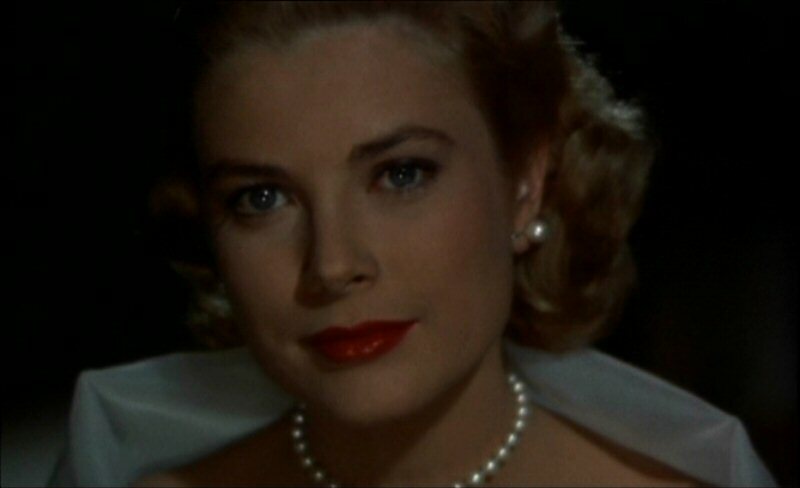 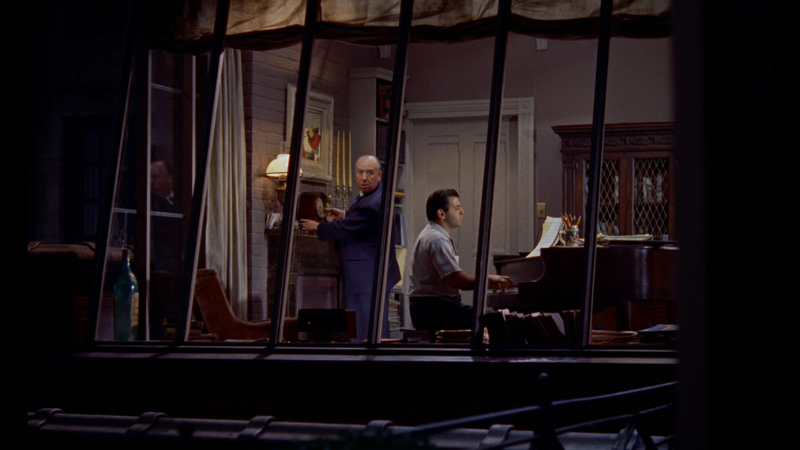 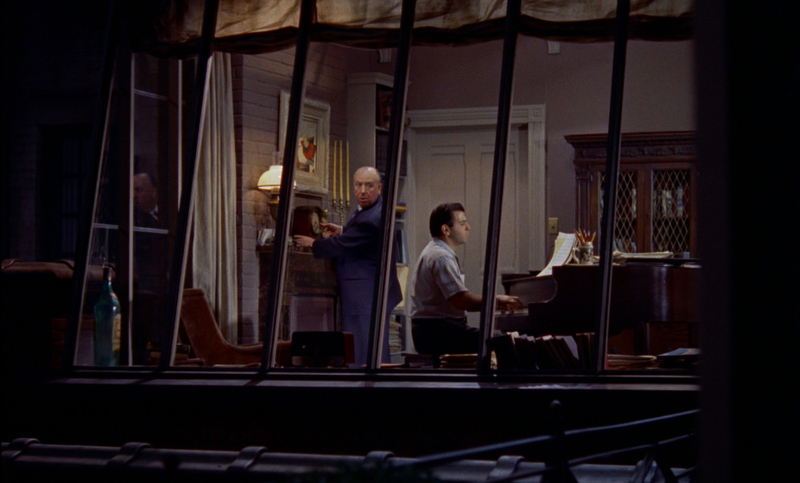 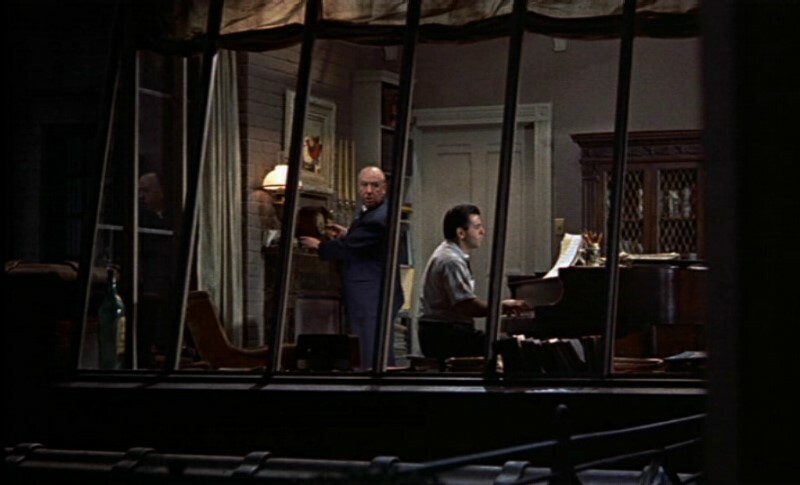 The only serious flaw in Rear Window is the hokey use of a song to resolve a couple of subplots—which audiences in 1954 didn’t find convincing either. 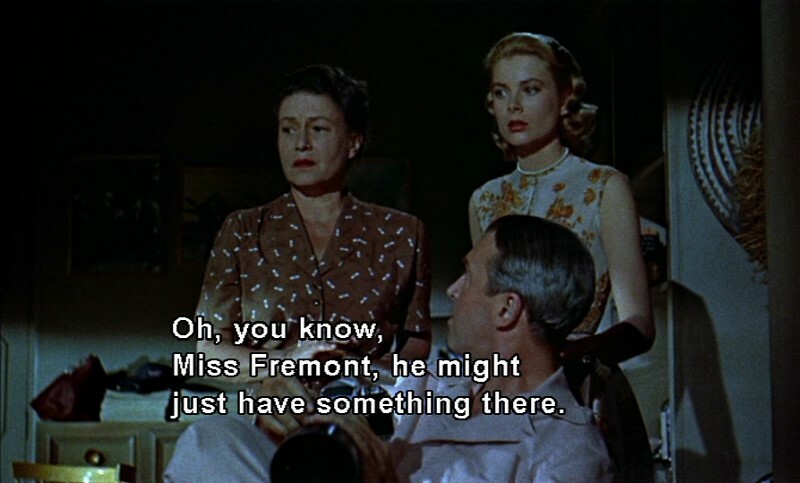 When this romantic comedy-thriller was made, TV hadn’t yet posed a serious threat to radio, much less to movies, and there’s nary a TV set or TV screen in sight. 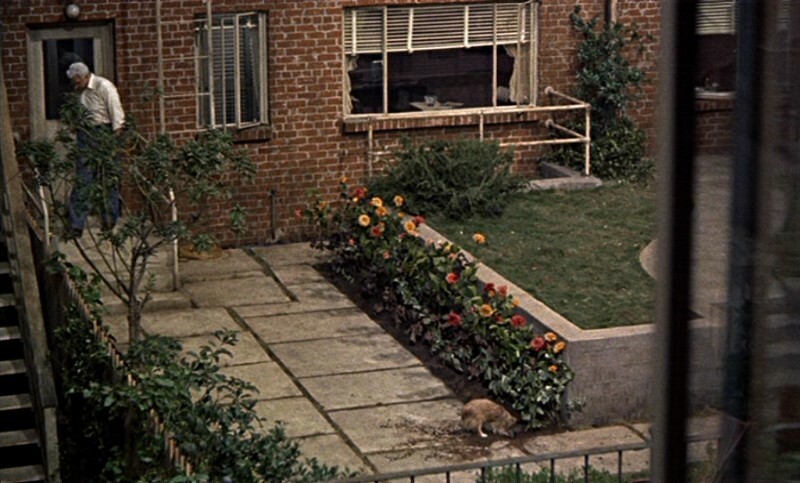 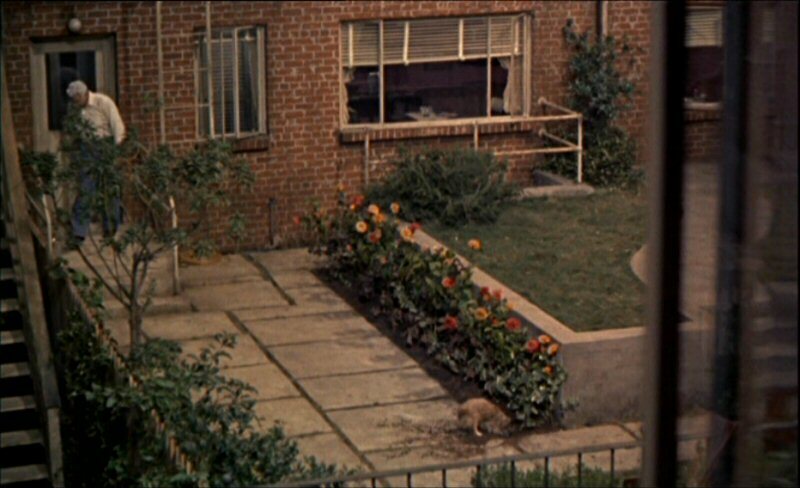 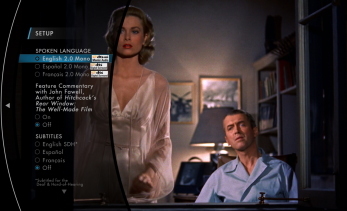 The movie’s overall narrative form of scanning past windows in a courtyard seems to anticipate channel surfing, but it reflects the way one turns a radio knob, tuning in and out of frequencies while the station indicator moves horizontally or vertically along the dial. 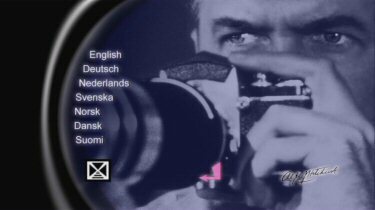 The same pattern is apparent in the beautifully calibrated camera movements as well as the brilliantly mixed and nuanced sound recording. 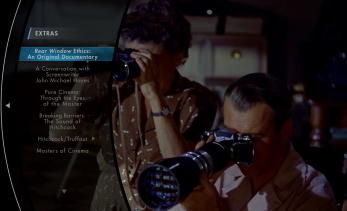 Big thanks to Mark Balson and Maarten de Haas for the original Universal Pictures Screen Caps! 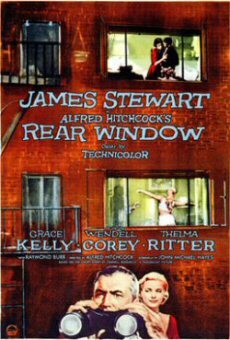 ADDITION: Universal - Region FREE - Blu-ray - October 12': I, again, reserve the right for more insightful comments until after I have lived with the entire Blu-ray set for a while. 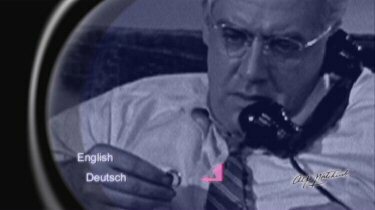 I thought I saw some smearing early-on (scrubbed grain) but never found further evidence and the image quality seemed to improve as the film rolled along. You can judge by the screen captures - things tighten and colors have a wider range but there is a flatness that I'm less comfortable with. 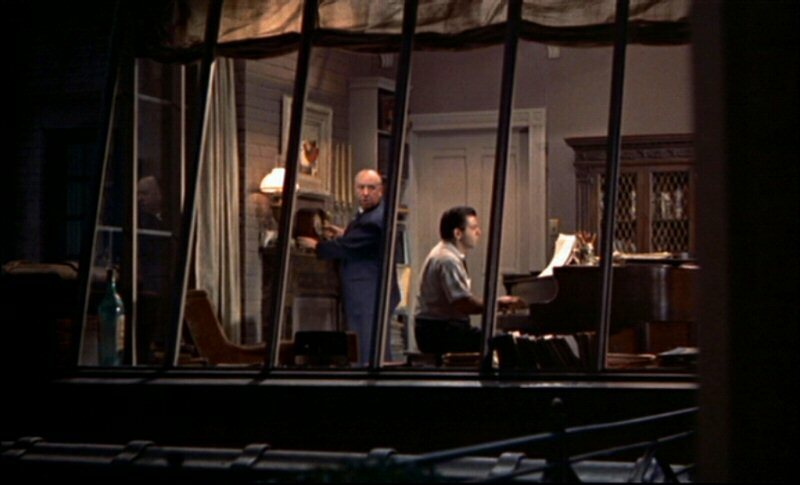 Audio is impressive - Franz Waxman's score sounds wonderful with the jazzy elements really coming to the forefront. There is a shade of notable depth. 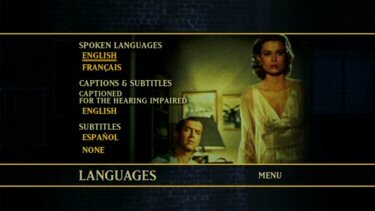 Optional subtitles are present on the region FREE disc. 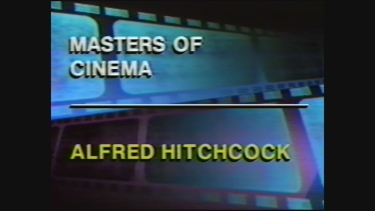 It looks like all the supplements from the 2-disc legacy edition are still here plus a 'Masters of Cinema' video piece with The Master being interviewed for about 1/2 an hour. 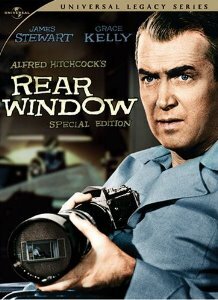 This cursory glance gives this a thumbs-up but we'll see what happens when we put things under the microscope. ADDITION: Legacy 2-disc - September 08': Universal has done a great job here. 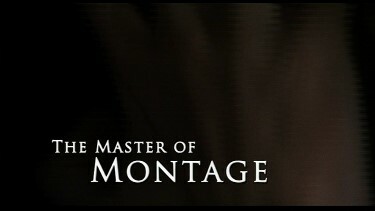 Is the image improved? 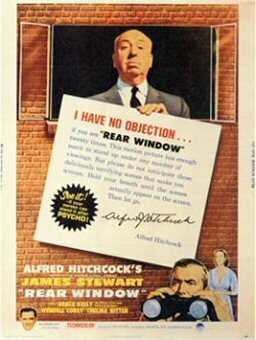 - you betcha. 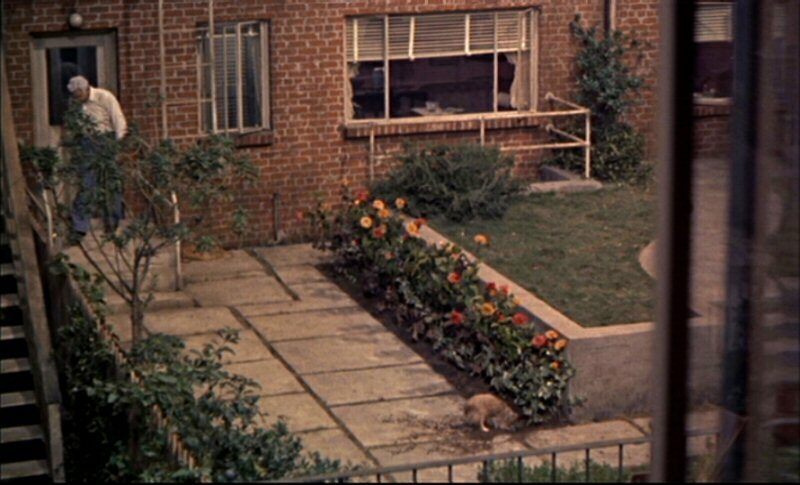 With more room for the film (shoving the majority of the supplements onto a second dual-layered disc) it both seems to show more grain and detail. 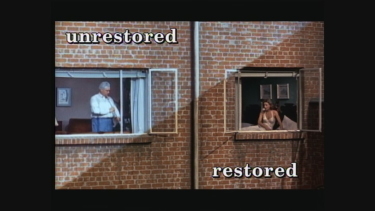 It looks fabulous and the higher bitrate is a testament to that improvement. 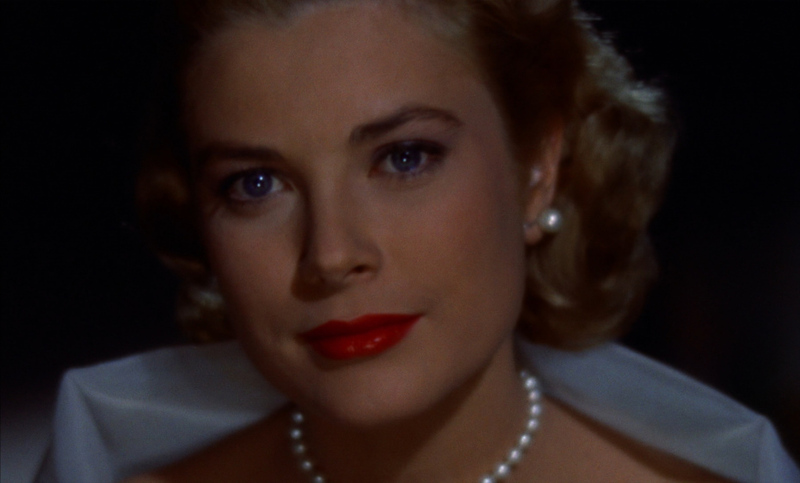 I can't be sure but black levels may have been marginally boosted to bring up the sharpness - if so - it worked. 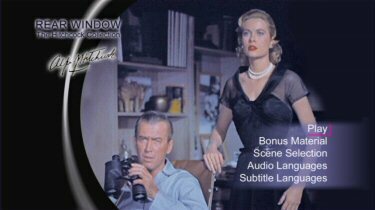 Audio sounds to be the exact same as previous SD-DVD. 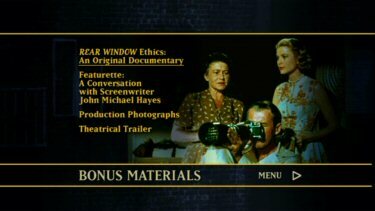 It appears that all the extras are sent over from the Masterpiece Collection and CE (Rear Window Ethics: An Original Documentary -55 minutes - and A Conversation with Screenwriter John Michael Hayes - 13 minutes), PLUS new: a wonderful, professional commentary by John Fawell, author of Hitchcock's Rear Window: The Well-Made Film. 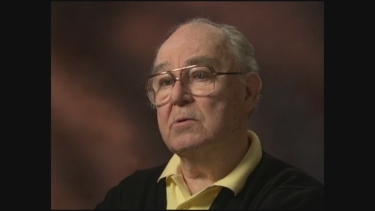 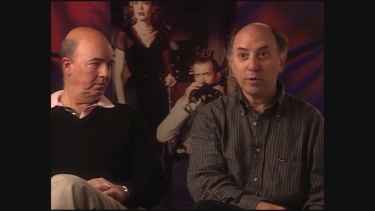 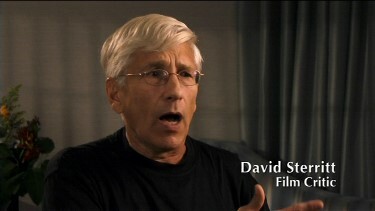 He has a gentle manner and talks on a varied number of aspects of the film, Hitch's techniques and the production. 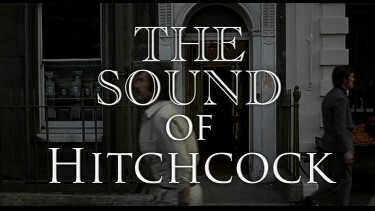 This is very much worth listening to. 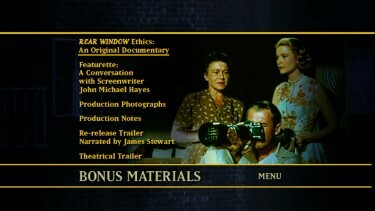 The additional featurette extras (disc 2) are likewise excellent. 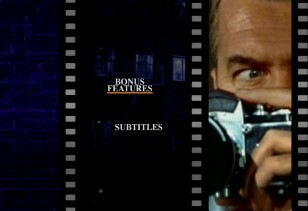 Many give input, from Scorsese to other prominent directors, in the 25 minute piece Pure Cinema: Through the Eyes of the Master. 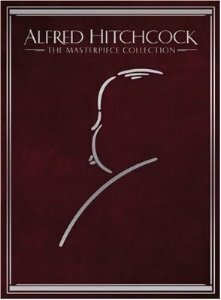 It is a lot of justifiable praise for the Mr. Hitchcock and most seem genuinely enthusiastic about discussing his style and and creative output. 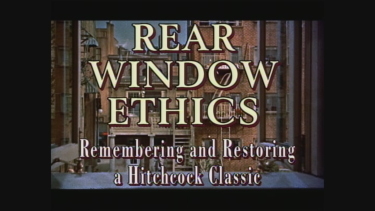 The Hitchcock /Truffaut interview excerpts from 1962 run 16 minutes and are shot to the backdrop of scenes and stills from the film Rear Window. 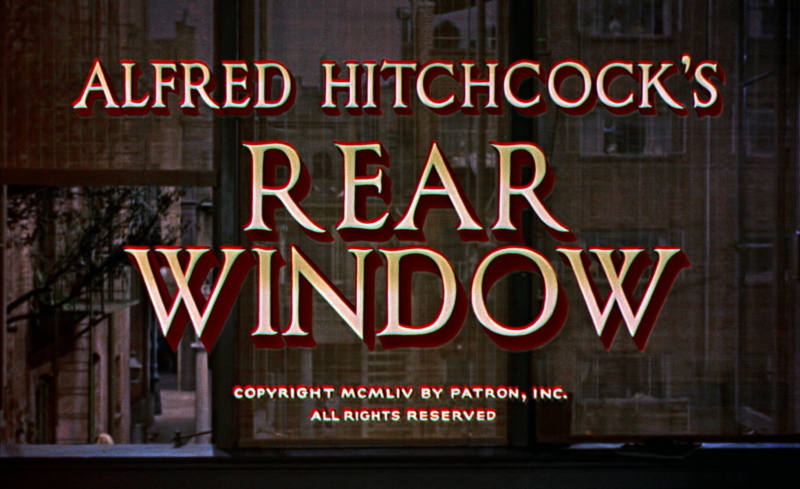 Hitch kind of gives commentary with translations from French (Truffaut and a female translator). 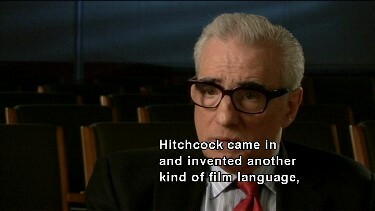 This is very appealing and I wished it could have been the entire interview - and most won't want the French dialogue. 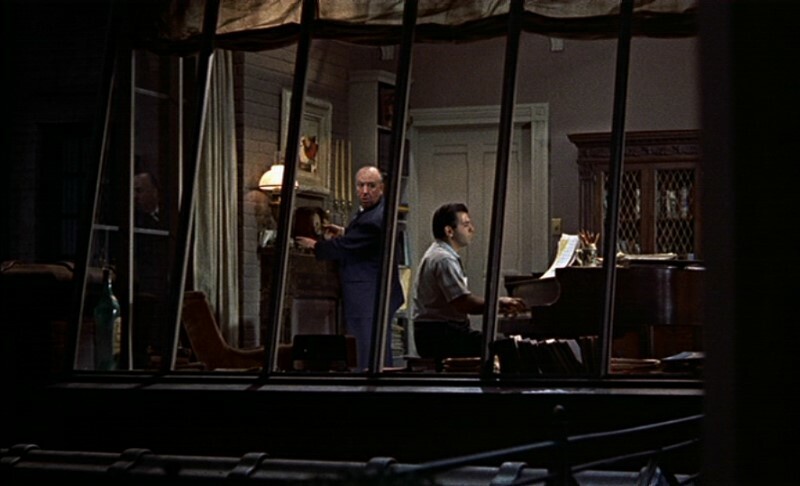 Breaking Barriers: The Sound of Hitchcock is almost 25 minutes and focuses on the manipulation of audio - orchestral bridges and how it melded with the plots. 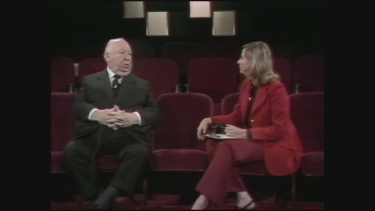 We are also given an Alfred Hitchcock Presents episode entitled 'Mr. 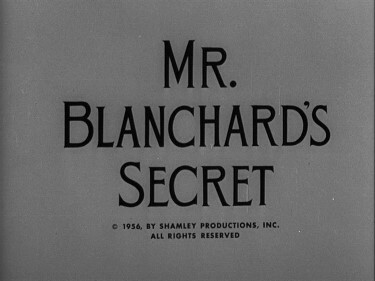 Blanchard's Secret'. 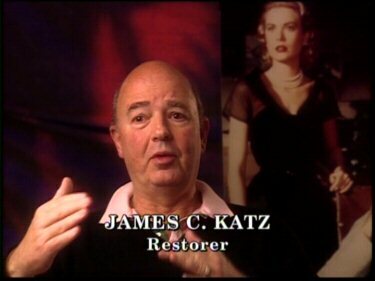 It's funny that after watching all the experts talk of him this 26 minute this TV episode was the most delightful ending. Magnificent package. This comes in a nicely appointed bookstyle case (see image below). 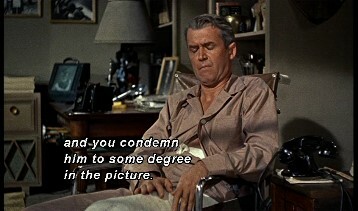 I am so happy that it just wasn't another faux 're-issue' as some had expected. 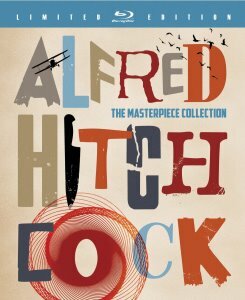 The commentary and improved image make this a must have - the definitive edition, until, of course, it comes to 1080P - which we can hope will be soon. 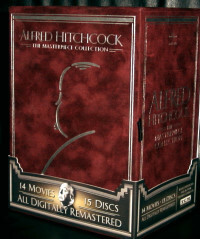 ADDITION: Alfred Hitchcock - Masterpiece Boxset edition - after some painstaking deliberation Beaver concludes that the new Masterpiece edition is the best - it has a color scheme similar to the PAL edition with better skin tones (less red- especially Grace) and it is as sharp (or slightly sharper) than its region 1 counterpart. I think the best overall comparison image is the third large one (L.B. sweating). 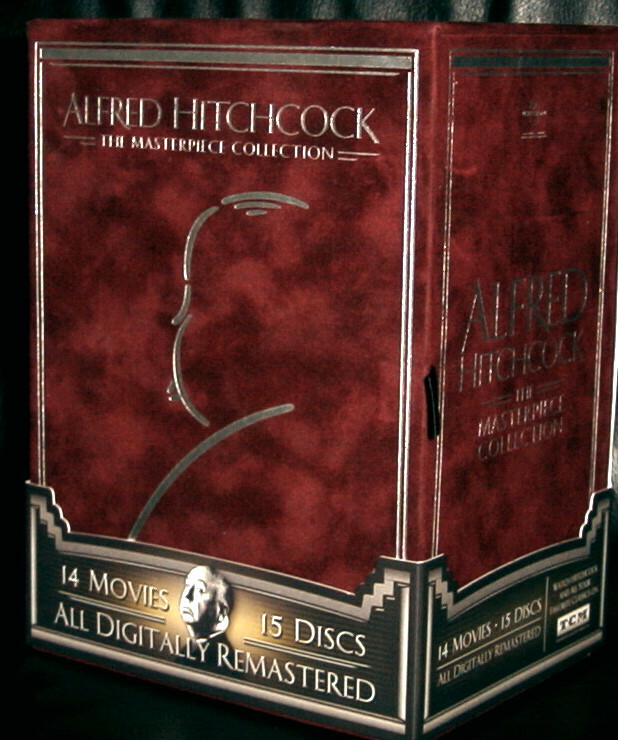 The old NTSC release actually looks contrast boosted next to the new edition (see the Master's face in large capture # 5). 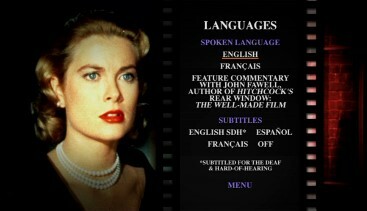 I feel subtitles look much better on the new release. 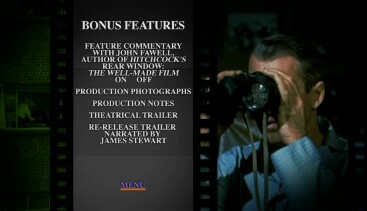 Essentially the new DVD maintains the best of both other releases plus has all the extras. 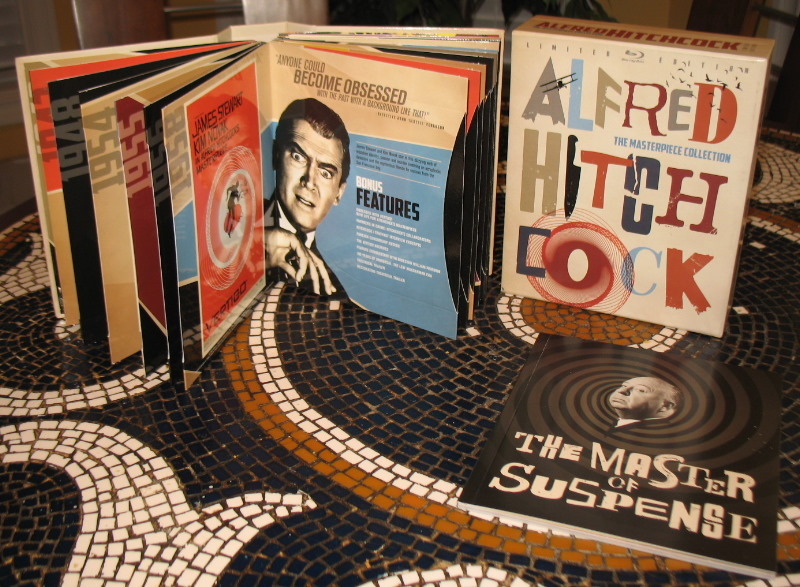 We still feel that the Alfred Hitchcock - Masterpiece Boxset reviewed HERE is still the greatest deal in DVD history to date. 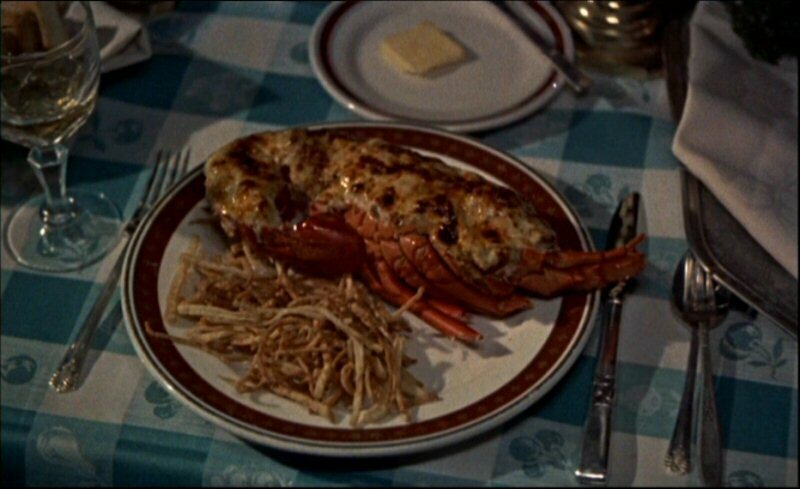 After scrutinizing quite closely I am leaning to the Region 1, although this is a tight race. 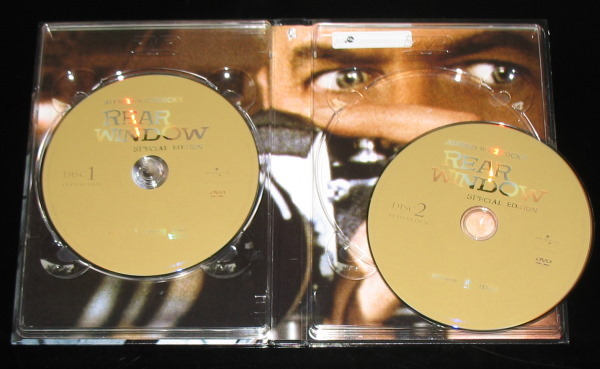 Colors on the Region 1 are brighter and it is every so slightly sharper. 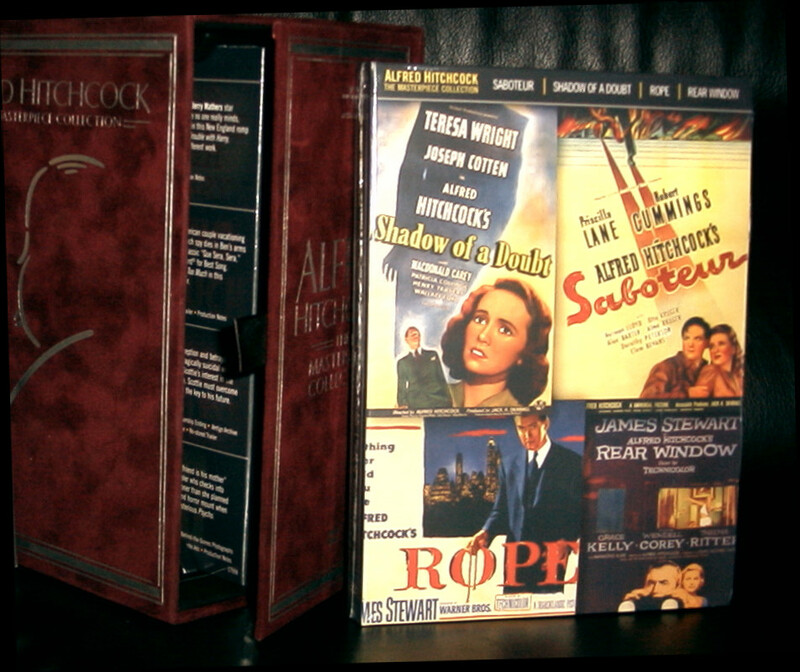 Both edition show some film grain. 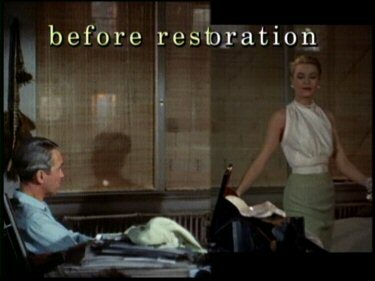 I prefer the Region 2 subtitles and the Region 2 may have the better contrast. 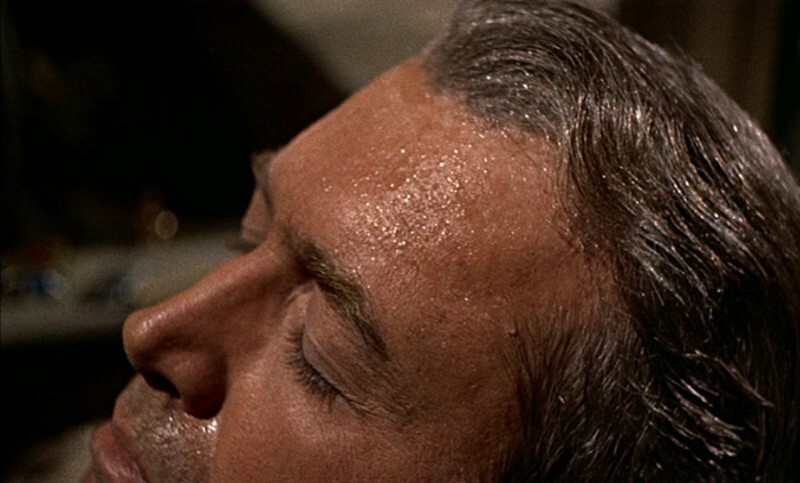 Both have some extras to offer, but again the Region 1 seems to be ahead by a neck. 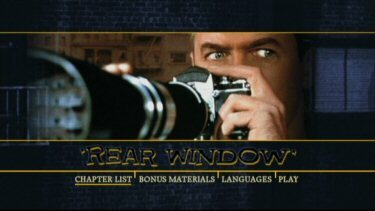 I don't suppose owners of either DVD edition will be too disappointed, but we feel the Region 1 is the definitive to own.